With quiet strength and unending love for her family, Betty Smoes created a timeless legacy to be treasured. 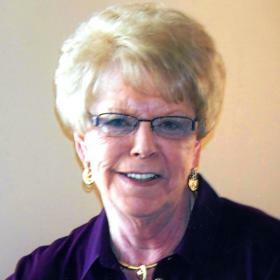 A kind and gentle woman of faith, her warm and caring nature was a pleasure for anyone who shared her company. Betty’s greatest joy was found in those she loved while making precious memories along the way. Although she will be deeply missed, her love lives on in the hearts of those who knew her best. While the nation struggled through the worst year of the Great Depression, the year 1933 saw an unprecedented U.S. jobless rate of over 15 million. At the same time, great strides were being made in the culture of America as Radio City Music Hall opened while a thirst for entertainment was a welcome deviation from hard economic times. Despite the changes in the world around them, Benjamin and Clara (Kas) Heetderks found much to be thankful for on May 20, 1933, when they welcomed the birth of their little girl, Betty Jean into their hearts and home. Born in Allegan, Michigan, Betty’s father was an industrial engineer while her mother remained at home as a homemaker with Betty and her younger sister, Donna. Her family moved a few times during Betty’s youth, having lived in Holland and Fremont before settling in Grand Rapids, Michigan. A young girl of her generation, Betty experienced a childhood filled with the love and devotion of good parents. Her family attended Seventh Reformed Church where Betty began singing in the church choir at the age of 16. For the following 62 years of her life, Betty sang in that very choir at Seventh Reformed where she was a longtime member. Betty attended Union High School where she was the majorette, leading the marching band. She excelled in school and along with her studies she worked as a lifeguard at Richmond Park. She loved the beach and could easily spend all day with friends at the beach in Holland. After graduating from Union, Betty went on to further her education in her chosen field of nursing at Wayne State University. Upon her return to Grand Rapids, she began attending the Butterworth School of Nursing and then started her nursing career working in a local doctor’s office. Charles “Chuck” Smoes was a young man Betty had known through church. They had several friends in common, and had already spent enjoyable times together. Before long they began a dating relationship, fell deeply in love and on May 25, 1956, they were happily married at Seventh Reformed Church. After spending a memorable honeymoon at cozy Walloon Lake, Michigan, the newlyweds settled into their first home together in a rented apartment on Quimby Street NE. Before long they built a home at 900 Maynard Avenue NW which became their family home for the following 41 years. Betty continued to work until she and Chuck welcomed the birth of their first child, Jack into their lives, and Steve completed their family shortly after. 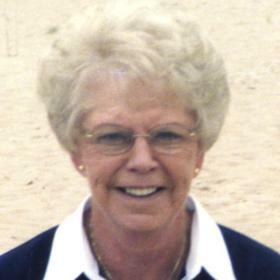 As a mother, Betty was loving and devoted to her sons and actively involved with them. Whether for carpools, church functions, school or other activities, Betty was always by their side to help and encourage them. A close-knit family, Saturdays were often spent at Betty’s parents home for lunch and visiting. Betty and Chuck raised their children in a Christ-centered home and as a family they made numerous memories, some of which included fun-filled family vacations. Many weeks during the summer were spent with Betty’s good friend, Sue at their cottage at Interlochen. They also rented cottages on various lakes throughout Michigan, and trips to see her sister’s family in South Carolina, Hawaii, and Virginia. She and Chuck enjoyed socializing, as well. They had several good friends through the years, traveling often with some of them and enjoyable visits. Meticulous and very particular, Betty’s home was spotless and she made a wonderful home for Chuck and their family. Without fail, Betty always had dinner on the table promptly at 5:00 PM each evening, and the table was often the spot for Catechism lessons, Scripture memory verses and homework. When it came to dinner at their family table, Betty was an all-around good cook who served many family favorites. A wonderful cook and baker, her best baked goods most often depended on the number of people who had their own favorites of Betty’s because everything she made was seemingly delicious. Her applesauce recipe was simply the best, and she so enjoyed cooking and baking for anyone who came her way. Every Friday, Betty had a standing appointment to get her hair done, and it was a very important day for her! With a class all her own, Betty was a very well-dressed woman with a great sense of fashion. She was always well put-together and could make anything look classy. Betty had a love for shopping and enjoyed doing so. Although she loved to shop, she wasn’t wasteful or extravagant, and often waited until what she wanted reached the right value for her. Betty returned to work after her boys were a little older. She spent several years working at area doctor’s offices, not because she had to, but because she simply loved being a nurse. Betty was a hard working woman no matter what she was doing. It didn’t matter if she was at work or at home, Betty rarely sat still. When her sons married and had families of their own, Betty welcomed her daughters-in-law with open arms. They always felt welcomed and loved by her. Betty also considered herself fortunate to have had her children live close by. This enabled her to see her grandchildren often, and she loved them dearly. She interacted with them at every opportunity making countless memories, especially special times like her Christmas sleepovers. She and Chuck attended each of their many sporting events and came to be known by the other team members as Grandma and Grandpa. Betty and Chuck spent their retirement years doing the many things they loved. They did a lot of traveling throughout the world, and a favorite was a river trip from Vienna to Amsterdam. However, Betty counted their time near Charleston, South Carolina for several months each winter as the best ever. She enjoyed the sights, but more importantly, it was a chance to spend extended time with her sister there. While family was at the very heart of Betty Smoes, her love for her Lord and Savior was at the forefront of her life. She had a heart of gold and would help anyone. It was through her kind and giving ways that Betty shared her faith. Even though she was quiet until she became more acquainted with someone, she expelled warmth to everyone she met. Over the last several years, Betty’s mind was clouded from Alzheimer’s, but she was able to remain at home through Chuck’s loving care for her, just as she had done for so many years for him. A gracious lady in many respects, Betty quietly modeled her role as a wonderful wife, loving mother, and a devoted grandmother and friend. Although deeply missed, Betty departed her worldly life just one day before she and Chuck would have quietly celebrated their 62nd wedding anniversary, yet the memories she leaves behind for all will be forever remembered. Betty Jean Smoes, age 85 of Walker, went home to be with her Lord and Savior on May 24, 2018. She is survived by her husband of 62 years, Chuck; their children: Jack & Pat Smoes and Steve & Julie Smoes; grandchildren: David (Karlee) Smoes, Paul Smoes and fiancée Ashley Puccio, Tyler (Dani) Haynes, Austin and Dalton Smoes; great-grandchildren: Cora Smoes and Hannah Haynes; sister, Donna Simpson; brother-in-law. Dave (Mary) Smoes and several close friends. The service to remember Betty's life will be held on Tuesday, May 29, 2018 at 11 AM at Seventh Reformed Church where friends may visit with her family from 10 AM until 10:45 AM. For those who wish, memorial contributions to either the Christian Rest Home or Lamont Christian School are appreciated. To read more about Betty's life, to share a memory or to sign her guestbook, please visit www.lifestorynet.com.